Year two rolled on. Christchurch and College continued to fascinate and educate. Smug in senior superiority we hardened hostellers, swaggered around the first years oozing worldly wisdom, and tempting fate with blind dates, risqué adventures and dabbling in the occult. To be precise, we organised a couple of dance dates, a set number of girls from our hostel and a boys’ hostel, and lucky-dipped for partners. Esther is still married to the guy she met on one of these dates 50 years ago. Two late passes per week were the maximum allocation, an 11 o’clock, and a 1:30. 1:30 seemed pretty liberal but there was a catch, it couldn’t be taken on a Saturday. Being the Sabbath there was a 12:15 curfew. The hostel was locked at 10:30 each night by the ‘duty Deac.’ Then the poor Deac had to stay awake and open the door for those on late passes. Talking was my downfall. 10:30 creeps quickly during a good discussion. If caught missing the deadline, late passes were suspended. The three fire escapes were raised five feet from the ground. An ineffectual twist of barbed wire decorated each bottom rung. An apple-box hidden in the hedge provided the initial boost. Life was easier for the girls who lived downstairs, several windows gave easy access, but we upstairs dwellers couldn’t risk creaking up the stairs past Miss P’s room. I could rely on Esther to cover for me, as I did for her. I didn’t do it often. I was uneasy about breaking rules. That year it was fashionable for boys to prove manhood by bathing in a girls’ hostel and souveniring the plug. Only one plug went missing from our hostel but our lives were spiced by the continuing hope of intercepting some intrepid, naked intruder. At that time only a séance held more fascination. Chopsticks belts from the piano, a sure sign Miss P is out. The common room fills. A wireless is plugged in and turned up. Maureen and Vera stop murdering the piano and join the twisters. Bodies gyrate to the end of the hit parade then someone suggests a séance. Pious Patricia wonders if it is right. “We shouldn’t dabble in witchcraft. You know, it could be evil,” she falters. “I don’t know if I’m game,” mutters Twitch. “Don’t be batty, it is only a game,” says Pam. “My Welsh Aunt believes in it,” says Jo. “Ridiculous! Stuff and nonsense for the gullible,” scoffs Esther as we scatter to find torch, glass, pen and paper. Smug Esther deigns to watch. Gullible eh! An idea sprouts. I move to the telephone in the passage and dial the number for Bishop Julius, the Anglican hostel, a mere five-minute bike-ride away. A brief conversation takes place with Beth Brown, ex-Secret Six member, code number 6.6. “Can you act your age?” asks Esther. I join the huddle round the alphabet-encircled glass. Pam is adding an opposing yes and no for speedy replies. Jo quits mucking around and directs the torch at the upturned glass. Muffled giggles snuffle to silence. Seven fingers rest lightly on the glass and slowly the glass takes on a life of its own. Questions are suggested. Yes, Maureen will pass the maths test. Vera will to get an A for her art assignment. No, there won’t be ice-cream for pudding tomorrow. Waipuna will win a beauty contest. Jo will have lots of lovers. The questions become more complex. Jo’s lovers will be foreigners. Pam’s boyfriend will propose before the year is out and she will have four children. “Is anything strange going to happen?” ventures Twitch. “Does the stranger have a name?” I ask. “And how many flying pigs have you met?” inquires Esther. Twitch starts to say something as the doorbell sounds. “Someone for Molly,” calls the duty Deac. “Who is it?” I call back. The gang crowds into the passage. “Dark hair,” observes Jo with a direct stare at Esther. “Why the pentacle?” Isn’t the pentacle a symbol of witchcraft?” All eyes follow the visitor’s gaze to a red star on the front door. A few days later I return the favour, though my pentacle got no closer than the gatepost of Bishop Julius Hostel. “Why didn’t you put the pentacle on our front door?” Beth asks, tucked away in our favourite corner of The Cauldron. Beth and I promoted a rumour that West Coasters are known for being psychic – caused by proximity to many ghost towns, we said. But I lost my appetite for dealings with the ‘other side’ in a major way. For this year too brought trauma – unbelievable and indelible trauma, the death of my father – Ernest Austin Sinclair, in his 54th year, at his home, suddenly, no suspicious circumstances (they might as well have put it in capital letters BY HIS OWN HAND) leaving a wife and three children. Dad hasn’t come in for tea. It is a ‘Dad and Dave’ night. Along the Road to Gundagai blares over the airwaves. No one likes missing the favourite serial, especially Dad. He grew up on a farm. I hold the button longer this time. The intercom is Dad’s own two-valve invention that links his shed with the kitchen. It works really well, but not tonight apparently. Nathan runs out to the shack and finds him. 26th of August, the day after Nathan’s 15th birthday, a never to be forgotten date. Dinner the night before had been the traditional family party – cake, candles, presents, followed by board games. Dad had been on a winning streak, winning two out of three games of Cluedo. Dad didn’t use rope, dagger or candlestick. He used electricity and water. He didn’t leave a note. An accident? He was meticulous to the nth degree. We couldn’t even pretend. The coroner’s report in The Grey River Argus took care of that. How could anyone do such a thing? How could he? Why did he do it? It was so stupid! So hurtful… so wrong! My own father, a happily married man; he had no vices, no worries, a good job – supervisor of the telephone exchange. No one can understand it – police, neighbours, workmates, or Labour Party associates. Why Dad, why? You didn’t have enemies. You didn’t owe money. You didn’t drink, smoke, or gamble. You loved us and we loved you. How could you do this to the people you love. If something was going wrong for you why didn’t you tell us! We would have helped. You know we love you. Didn’t we tell you… maybe we didn’t tell you? If we didn’t tell you it was because we thought you knew. Something must have been going very wrong. But whatever it was, how could we be better off without you? We need you. Mum needs you. It hurts. If only there was a reason. If only you had left a note or given some clue. If only! Dad left everything in order, possessions tidy, bills paid. Luckily it was the start of the holidays, we had time to cope. Luck… or carefully planned? Dad was meticulous by nature and knew the Scriptures. “He set his house in order and hanged himself.” 2 Samuel 17:23. We suffered the classic symptoms of grief, since learned from magazine articles – shock, denial, anger, guilt, fear, hostility, plus an extra one – shame. Feelings weren’t named in those days. Our grief was silent, personal and self-blaming. That’s how it was – pain smothered to smoulder, cankering the soul until semi-forgotten. A decade passed before we shared our silent guilt. Nathan regretted his adolescent indifference, but despite a full-on teenage lifestyle schoolwork and chores usually got done. He was a good all rounder, popular and enterprising – ice-cream boy at the pictures by standard five, a Press paper run at 14. I’m sure Dad was proud of him. Mum felt she should have spent more time with Dad, but they had different interests. Separate pursuits suited their relationship. I was convinced I’d brought trouble with the train crash. Rail workers were strong among the party faithful. I had caused a Greymouth man to lose his driver’s job. Even so our railway neighbour gave us a bag of coal and said he was really sorry, Ernie was a good chap, a good worker for the Party. We didn’t talk about Dad much. Neither did anyone else. What could they say? The usual platitudes – a blessed release from suffering, the Lord giveth and the Lord taketh away, a terrible accident, safe in the Lord, his number was up, God calls his own, and so forth, just didn’t apply. Dreams bother sleep, the old complicated dreams – Deaconess House, miles of passages, lost on a ship below deck, the three-headed dog, the steaming train plunging from grey gorge to grey hospital and always a bell ringing. And new dreams – me causing indiscriminate death or finding Dad sitting zombie-like in his chair, having to tell him he was dead and didn’t belong here; interpreting his hurt as betrayal. In the absence of reason I searched for memories to hoard – conjuring up his slight figure singing in the garden, hunting for reading glasses, radio tinkering…treasuring special times in his shack – speaking into the microphone, hearing crackling replies from ‘hams’ in faraway places. When I was ten Dad helped me build a headphone crystal-set, and tried to teach me Morse code. I never mastered it. Mum had though, back in courting days, when he was going for his wireless ticket. Dad told me they went on picnics and sent each other love messages with Morse keys; so romantic, and so unlike them. Dad was a bit of a loner, being a non-drinker in our neighbourhood. He spent summer evenings in garden or shack, and winter nights listening to the BBC or reading by the fire – wireless magazines and Yates Garden Guide. Truth and Man Magazine stayed in the shack. Mum’s house was not to be sullied. She tolerated his taste in humour with mock despair and head-shaking as he chuckled over cartoons and booklets such as Pigs Is Pigs. His favourite funny was The Specialist, about a man who applied much thought as to the best location and decor for his privy. On ANZAC Days my father’s poppy bled in solitude on his dark suit. He stood with head inclined as medalled peers paraded. Maybe not drinking helped! My dad could never share the camaraderie of contemporaries embellishing war yarns at the RSA. I glimpsed the unspoken shame of polio; his hating of sports day at school, compulsory age races, where he always came last, a deliberate tripping, broken arm and weeks of plaster and sling. He told the story lightly saying his big mistake was breaking his left arm, had it been the right he could have got off writing as well as sport. Nathan appeared to get over it. He was a logical lad, not given to sentimentality. “A great support for your poor mother,” remarked those who had to say something. He wore the responsibility of garden, lawns and firewood as a mantle of maturity. I was proud of him, and didn’t suspect cloaked feelings. Mum missed Dad but she was a woman of inner strength, not one to weep, or accept ‘pills to help’ rumoured available from the doctor. Devout Christians had to cope. To be seen not coping was a betrayal of faith. Despite clearly defined co-operative roles my parents were independent souls. Mum learnt how to write cheques and deal with insurances, and lengthened her formidable list of church and community good works. I returned to Deac House for the final term and every time I looked at my radio I thought of my father and wondered why. Years later Danny told me why. On his last visit before emigrating, Dad and Dan had talked as never before. They’d hugged and cried. I’d never seen my father cry, nor hug a son past baby stage. Danny told of his love for Archie and the problems of leading a double life. He shared feelings of rejection and coming to terms with being different. In return, Dad bared his soul, confessing a lifetime of feeling inadequate. He didn’t want to cope with physical problems any longer. Life wasn’t worth it. Inadequate! Physical problems? Dad never complained about anything! True, Danny agreed, Dad wasn’t inadequate and never complained. He seemed fine but polio left him with deteriorating weaknesses. Nagging arthritis pain wore him down. He gave it a name, CC, Constant Companion. Then, I remembered Aspro boxes…Dad carefully unwrapping white pills and rolling the waxed-paper strip, just something he did, like shaving. Danny told me Dad was frustrated with his eyesight – myopic all his life, dealing with additional reading glasses was almost beyond bearing. Surely not! Lots of people need two pairs of glasses. Danny equated increasing disability with loss of self-esteem, said anyone can cope with one problem, multiple problems compound and knock the ego. He reminded me of Dad’s slight hearing loss, not a problem one-to-one, but enough to make him feel foolish in some group situations. Dad feared it might affect his job. However, these inconveniences merely contributed to Dad’s private misery. The real problem was too humiliating to talk about, too humiliating to write about – a bowel condition, prognosis, loss of control. He didn’t want anyone to know. Danny understood. He had considered taking his own life. He felt he’d been cursed until he met Archie. He’d tried talking Dad out of it but had said goodbye, just in case, and agreed not to tell anyone. Dad told Danny he loved us dearly. We had all brought him joy. Life had been good. He intended it to stay good. 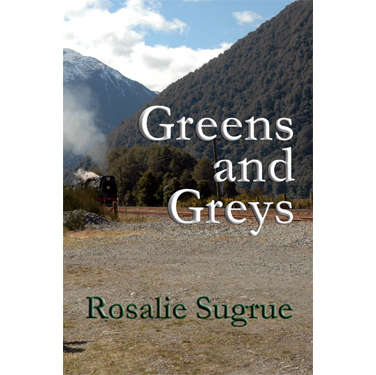 This entry was posted in Special Offers and tagged Christian Life - Death Grief Bereavement, death, fiction, New Zealand, Rosalie Sugrue on March 18, 2016 by Philip Garside. The following review by Rev John Meredith appears in the June 2015 issue of Touchstone – the Methodist Church’s monthly newspaper. Dying, Death and Funerals. A Pakeha Anglican Perspective. Wellington: Philip Garside, 2014, 300 pages. Hendery remarks that over the past four decades funeral practices in New Zealand have undergone sweeping changes. Celebrants who are not clergy conduct well over half Pakeha funerals and offer a highly personalised, life-centred alternative to churches. Although the church is no longer the chief provider of funeral ceremonies, Christian faith has a realistic approach to death and grief that is grounded in undying hope in God. 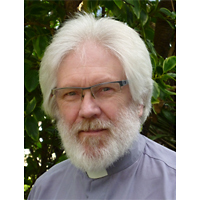 Writing from an Pakeha Anglican perspective, Hendery addresses significant issues of Christian faith and practice and touches on matters relevant to all who exercise funeral ministry. A funeral marks the ending of a human life and, as Hendery points out, people today have a wide choice in style and content of a funeral service. When a minister of the church is requested to officiate it cannot be taken for granted that the community for this funeral either understands or accepts the Christian story. Listening is a key part of the minister’s preparation. It is also important for a minister to accept that profound feelings of the loss of a physical presence cannot be assuaged by religious formulae. At several places in the book the author stresses that whatever form the funeral takes, the most effective feature will be the embodiment of compassion by the minister. While those attending the funeral may forget what was said they will probably remember the attitude of the minister. While a minister of the church is a spokesperson for the gospel, Hendery stresses this does not mean imposing on people. Ministers must be flexible and willing to offer guidance rather than ruling on matters such as choice of music and form of tribute. Hendery expresses concern about the way euphemistic language may diminish the reality of someone’s death. Too often a person passes away to become the deceased. Instead, the author prefers unambiguous language. His practice of referring to someone who has died as “the dead person” indicates both respect for the person and an acceptance of reality. The idea of closure, as it is popularly termed, is addressed thoughtfully. Writing of the pastoral care of people who are grieving, Hendery suggests that while, over time, those who have been bereaved may become reconciled to their loss, this does not mean that closure, is an appropriate end to the experience of grief. Those who are left continue to relate to those who have died through memory and abiding influence. 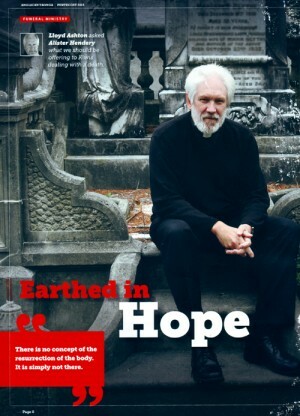 eBook editions of Earthed in Hope have now been reduced from NZ$14.99 to NZ$9.99. Click here to order your PDF, Kindle or ePub edition. 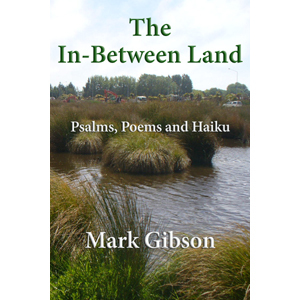 This entry was posted in Reviews, What I've been up to and tagged #EarthedInHope, Christian Life - Death Grief Bereavement, Christian Ministry- Pastoral Resources, death, New Zealand, Pakeha Anglican, pastoral resources on June 9, 2015 by Philip Garside. Here is a sample of the poems that appear in the book. This entry was posted in Coming soon... and tagged Christian Life - Death Grief Bereavement, Christian Ministry- Pastoral Resources, community-facing ministry, worship resources on June 9, 2015 by Philip Garside. From Chapter 4 — What Comes Next? of Earthed in Hope: Dying, Death and Funerals – A Pakeha Anglican Perspective. By Alister G. Hendery. This entry was posted in Coming soon... and tagged #EarthedInHope, Christian Life - Death Grief Bereavement, Christian Ministry- Pastoral Resources, death on November 23, 2014 by Philip Garside. “The obvious location for the tribute(s) is as part of the Remembrance (ANZPB, 829) so that they conclude with the act of remembrance. Placed here, the delivery of a tribute(s) could also be accompanied by the placing of symbols on or near the coffin. It also provides a level of participation early on. The tribute(s) should not take place after the Address, as it would ‘obscure the gospel hope of the resurrection as the wave of sentiment or boisterous good humour engulfs the congregation-become-audience.’ The first part of the service focuses on the mourners’ experience of grief and the recollection of the life of the dead person. The latter part moves the focus to the future and to the hope of resurrection. Placed here it allows the minister to later draw the tributes together into the wider context of what God has done for humanity in Christ. From Chapter 9 — The Funeral Service, of Earthed in Hope: Dying, Death and Funerals – A Pakeha Anglican Perspective. By Alister G. Hendery. This entry was posted in Author's wisdom and tagged #EarthedInHope, Christian Life - Death Grief Bereavement, Christian Ministry- Pastoral Resources, New Zealand, pastoral resources on November 20, 2014 by Philip Garside. to forgive, and to be forgiven. This entry was posted in Coming soon... and tagged Christian Life - Death Grief Bereavement, Christian Ministry- Pastoral Resources, New Zealand, Pakeha Anglican, pastoral resources on November 9, 2014 by Philip Garside. “Death is our inevitable fate. However hard we work to postpone it or try to deny it, we cannot escape it. Our mortality rate has consistently stood at precisely 100%. It is no wonder then that funerals are the most widely practiced human rituals. ‘Of all human events, death concerns us the most deeply’ (ANZPB, 811). The inevitability of death might suggest an equal inevitability about our response to death, but nothing could be further from the truth. How we approach death, how we mark it, what we believe about it, what we do with our dead, changes from generation to generation and from culture to culture. Within New Zealand, our response to death has changed radically in just the past few decades, and the changes keep coming, but amid them all, we keep having funerals. 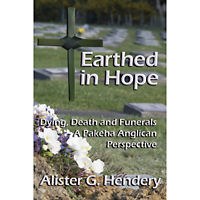 From Chapter 1 — Introduction: A Changing Landscape, of Earthed in Hope: Dying, Death and Funerals – A Pakeha Anglican Perspective. By Alister G. Hendery. This entry was posted in Coming soon... and tagged Christian Life - Death Grief Bereavement, Christian Ministry- Pastoral Resources, death, New Zealand, Pakeha Anglican on November 4, 2014 by Philip Garside. 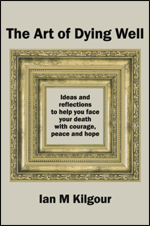 This entry was posted in Coming soon... and tagged #EarthedInHope, bereavement, Christian Life - Death Grief Bereavement, Christian Ministry- Pastoral Resources, death, dying, funeral ministry, New Zealand, Pakeha Anglican on October 27, 2014 by Philip Garside.